Is it snowing in Arapahoe Basin ?Thank you! 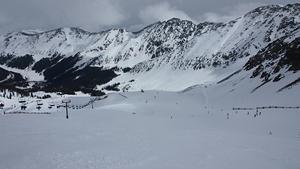 Arapahoe Basin means challenging terrain for all skiers and riders. Not to worry, there's a superb ski/board school to help tame it. 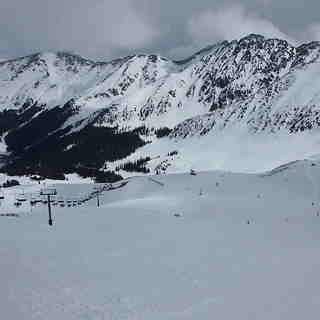 Arapahoe Basin is the highest peak offering ski terrain in the Rockies at 13,050 feet. 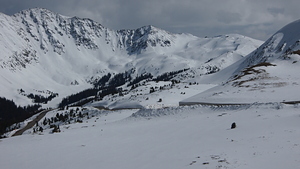 Usually, you can play at Arapahoe Basin until mid-June. New this season is a public warming hut on the Summit. Closest lodging is five miles away at Keystone Resort. 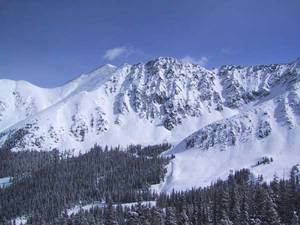 Lodging also is available in the nearby towns of Dillon, Frisco, Silverthorne, and Breckenridge - all within 20 minutes of the Arapahoe Basin ski area. Area is open but I have to hitchhike there from my motel (I am a destination tourist). Flew here and the shuttle bus does not start until Thanksgiving. It's Nov 4th so I give it two stars out of five.